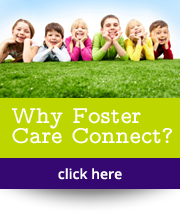 home » foster carers » Why Foster Care Connect? 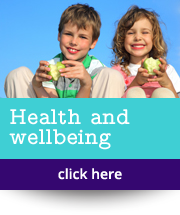 Foster Care Connect is a small, personal agency, so we know a lot about the children and foster carers we work with. We are personally involved in training and supporting them, and highly selective in who we work with. Carers who have worked for other agencies say they really appreciate our generous conditions and close, individual support. There are around 15 independent fostering agencies of different sizes in Scotland, and we all support different target children. We set up Foster Care Connect because we saw a need to improve terms and conditions for foster carers, so that they could provide a high quality service to these children, and not have to work full time. Our terms and conditions are very good, all our foster carers are self-employed but are paid a generous fee for caring for a child/children they look after. We offer up to five weeks holiday time/respite, and place a premium on a high quality experience for children and foster carers. Once you are working with Foster Care Connect, we continue to offer ongoing training, both in-house and with external providers, and give you opportunities and resources to develop your skills and career in fostering. With Foster Care Connect, you will always feel part of a small, valued team that is making a real difference to the children we care for. 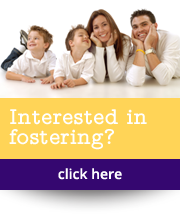 Find out more about training with Foster Care Connect.